At Valley Reconditioning we are the premiere window tinting specialists in the Fargo/Moorhead area. From luxury vehicles to everyday auto's, you will experience the most professional and premium window tinting available in the Upper Midwest. Protect your vehicle and yourself today with window tint. *Prices are subject to change based on complexity of vehicle and amount of tint required. For great looks that last, the LLumar ATC Series is the answer. Cool charcoal hues with the latest in dyed tint technology make the ATC series the right choice for anyone looking to enhance their vehicle’s style. **Certain restrictions apply; see an authorized dealer for warranty details. 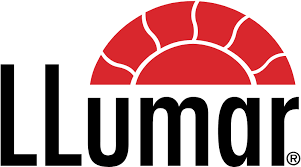 Using innovative nano-ceramic technology, the LLumar CTX Series offers superior heat, glare and UV protection without interfering with the signals from your electronic devices - mobile phone, GPS, Keyless entry, satellite radio and tablets. LLumar CTX allows you to drive in style and connect with ease.